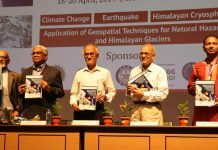 Chennai, September 21, 2017: Great Lakes Institute of Management, Chennai, as a part of its ‘Distinguished Thought Leadership Series’ hosted Honorable Sh. Varun Gandhi, Member of Parliament, Sultanpur, at its Chennai campus today. 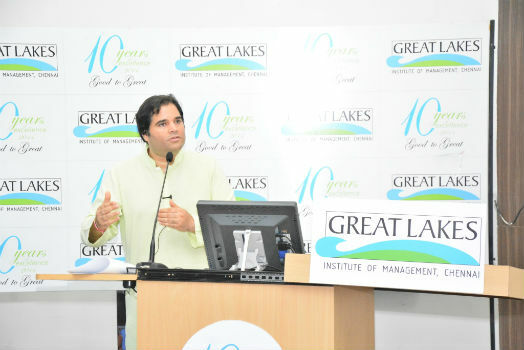 Addressing over 600 students and members of faculty at Great Lakes, Mr. Gandhi spoke on “Road to India’s Future: Opportunities & Challenges”. 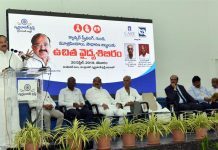 Talking about the various areas of concern and the challenges ahead for the country, Mr. Gandhi said that any social reform in the country is an outcome of a political reform and such reforms should start at the highest level and percolate down for a more meaningful outcome. Mr. Gandhi further added that one of the major issues we have been facing with politics in our country is that they are institutes of politics but not instruments of policies quoting how time spent in the Parliament discussing bills had considerably come down in the last decade and a half. Mr. Gandhi also spoke about people power and the role of younger generation in the future of Indian politics. He said, “People Power is the only power that is going to be valuable and viable in future. I urge the youth to take up social issues and not to lose the momentum.” If you do not create momentum from this place, you are not performing the role of a citizen and please understand citizen is a very powerful word, he added. Honorable Sh. Varun Gandhi also answered enthusiastically a lot of questions from the audience in a variety of topics. Mr. Gandhi also took some time to interact with some of the students and faculty after his session. Mr. Gandhi also planted a tree sapling in Great Lakes campus as an appreciation towards the institute’s efforts towards maintaining a Green Campus. Every year, Great Lakes Institute of Management, Chennai organizes Distinguished Thought Leadership Series as part of its curriculum. The institute hosts Management gurus, Thought Leaders, and Global experts from different walks of life in this series.